Jason works to help the Capital Advisory Team advise clients from the private, public and non-profit sectors on conceptualizing, structuring and implementing impact investing strategies. Prior to joining MaRS, he worked to build and finance social enterprises with the Clinton Foundation’s poverty alleviation initiative from New York, while also spending time on the ground with smallholder farmers while living in Colombia. 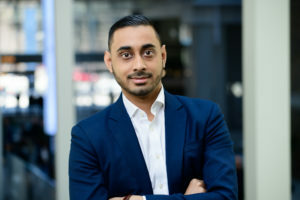 His previous experiences also include co-authoring a report on scaling primary care programs in developing countries with a global health research group, and working in technology portfolio management with BlackBerry. Jason received an MBA from the University of Toronto, and focused on international economic development while studying on exchange in Hong Kong. He also has an Engineering degree from the University of Toronto with a specialization in nanomaterials and sustainable development, and a Certificate in Global Engineering.